1,385 experience to go until the next level! Today, i've been searching for the solution and i found your post here. There is no solution for the time being by using something like $this->belongsTo(User::class, 'data.user_id');. So i started reading and searching in the laravel framework source code and i think i've found a work around. Not the same, try to create the dummies table and check the result. This is just an easy example but i'm using a complex table with a polymorphic colums. Hi @shez1983, i've just tried the whereRaw()but it's not very eloquent. Any one has any idea how to achieve that ? Works fine with a direct SQL but not with Eloquent class. ARCANEDEV left a reply on Is There A Documentation For Laravel 5.5 Api_token Based Authentication? To understand the token-based authentication, start by reading about OAuth2 (server side). BTW, Laravel Passport is based on League OAuth2 server to build more rebust/secure/flexible APIs (check their documentation & repo). ARCANEDEV left a reply on Api - Json Response Templates.. Where To Put Them? If your app is a small one, you can use a trait or a helper class. ARCANEDEV left a reply on Vue Re-usable Functionality Without Cluttering Vue Dev-tools? ARCANEDEV left a reply on [Package] SEO-Helper : Provides Tools And Helpers For SEO. Can you post your issue on the github repo ? I extracted one of my utilities that i use in every Laravel + Vue.js project and i want to shared it with you guys. I've experienced the same situation the laste couple days but not with VueJs (It's awesome for modular components). I use something like utilities/helpers for every single laravel project with vue js. The question i've been asking: How to make these utilities/helpers maintainable and modular for my laravel's projects. There is $errors variable available in every views (blade) and it's an instance of Illuminate\Support\MessageBag. This variable allows you to manage the validation's messages eloquently. I was afraid to get into something awfull & muddy. Typescript was the solution (after i've googled like a mad man), it's like PHP7, it offers interfaces, typehints, Return Type Declarations and more. And i've used Typescript + ES6, it feels good and fun. And I've tried also VS Code, OOOOH BOIIIIIII !!! I didn't have the opportinity to use Typescript inside a laravel project but i'm eager to try it. Bonus: laravel/echo is also a Typescript project. ARCANEDEV started a new conversation Changing The Channel's Name From `Elixir` To `Elixir - Mix` ? I think it's time to update the name !! Thanks guys for your replies ( ^_^)b. @CrushCandy Of course the route caching works with this structure and also IDE friendly. What do you think of about this approach ? There is a post on reddit shows how to structure your routes with PSR-4 convention. It's pretty neat as a tip !! Try to check the Validating arrays section in Laravel documentation (Laravel >= 5.3). Try to delete the vendor folder & composer.lock and reinstall all the dependencies, see if it solves your issue. Are you using MAMP ? Are you using custom Model classes for instructors & pupils or just with User Model class ? You can increase the 'xdebug.max_nesting_level' until you solve your issue. The SEO-Helper package allows you to manage the seo metas for your PHP/Laravel projects. It does not have a GUI like wordpress yoast plugin. Check the Laravel built-in Authorization. Hi artisans, i've just updated the package and i need your help to complete the translations. 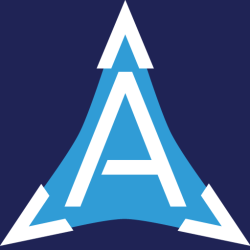 ARCANEDEV started a new conversation Does Anyone Had An Issue With Thephpleague/flysystem ? Thanks @JoeDawson for the example, very helpful. The $this->seo() method is provided by Arcanedev\SeoHelper\Traits\Seoable Trait and you can add it in your controller, model, middleware ... wherever you want. The $this->seo()->setTitle() and $this->seo()->setDescription() covers also the twitter card and open graph tags. And you can also grab the SEO stuff from the controller and put it in you video model (The SEO is related to the video) in a method like this $video->loadSEO(). Hi @ganesh, did you read the documentation and especially the usage section ? I think this is better than a screenshot, and if you want a live example, check http://grimearchive.com website created by @JoeDawson. ARCANEDEV left a reply on SEO Series, Please? You do the same as the bookings join. You pass a closure for users and courses, after the joins you add your where statements. It's been a while that i use this package in my projects (production apps) and it's awesome. And now i'm asking if anyone in Laravel community sharing the same feeling about it. I really you want to get more feedbacks if you've used this package. I've updated the title to be more clear about the feature request. What i meant is to see only my favorite links. For the time being, there is no filter to achieve that. Can you add a page like the favorite for the voted links in the community contributions ? OR, How about a list next to the favorite lessons list ? Upgrade the elixir version to match with the latest one. @kossa The Elixir package has been changed. The new path is elixir.config.css.minifier.pluginOptions (Check https://github.com/jakubpawlowicz/clean-css#how-to-use-clean-css-api for more details).